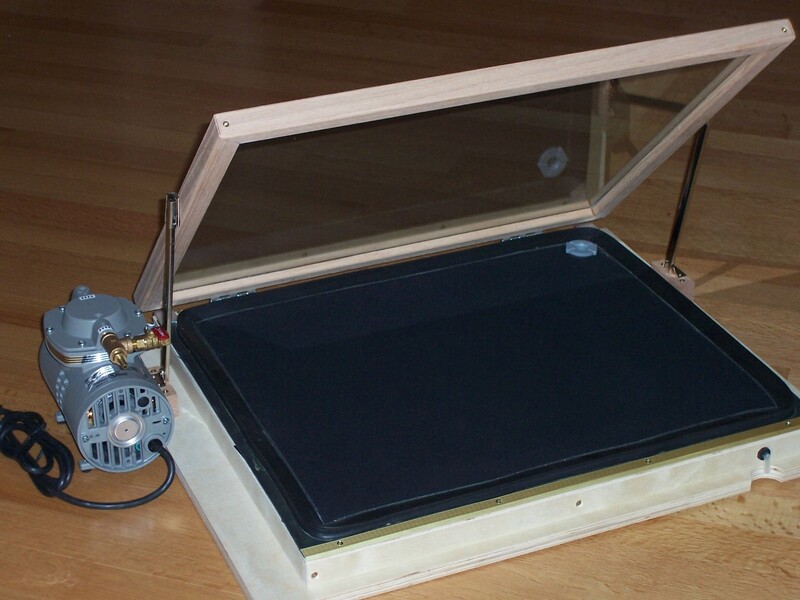 Vacuum frames can be built as a separate stand alone unit or build into our UV light sources. Each vacuum frame comes complete including the vacuum pump, vacuum hose, and electrical controls. Tired of fuzzy lines and poor edge definition? Get rid of your old klonky print frame and upgrade to a vacuum frame. By holding your negative tight against your paper a vacuum frame will give your prints incredible sharpness. For example, with 11X14 size print the vacuum frame generates over 1900 pounds of clamping force. The springs used in contact print frames simply cannot generate this amount of clamping force, so this is why a vacuum frame produces incredible sharpens and no loss of detail.